Fish Kiss is a lifestyle brand offering fun and whimsical printed gift items inspired by the people and places we love. Erie-based founder Anne Klein initially began with organic baby products and fabric, but because of the love she received for her artwork, has since grown her offering to include platters, prints, cards, and more, featuring all of the states across the U.S.
WHAT DOES FISH KISs MEAN TO YOU? captures a wide audience with a variety of memorable locations and customs. realized that I needed to turn Fish Kiss into a lifestyle brand instead of a baby company. and it was a nice change to draw a place with a completely different climate and terrain. We really live in an incredibly beautiful country. It's a toss-up between drawing and meeting customers at shows like the Flea. 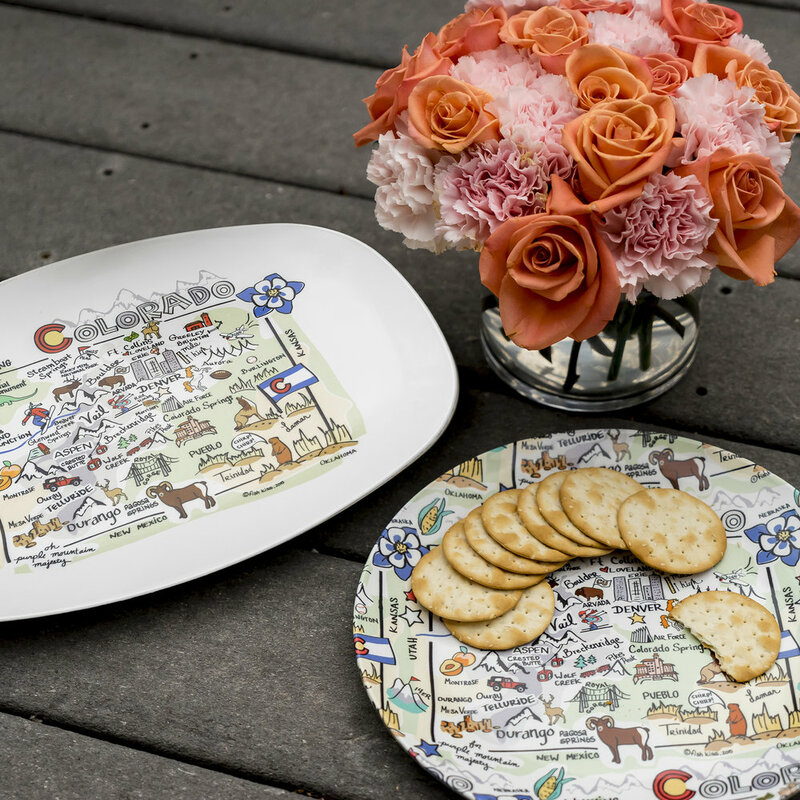 The Colorado Map Platter, because what's better than a cheese plate AND being Colorado Proud at the same time? The name Fish Kiss originated from the goofy fish face kisses I would give my nieces and nephews. It took 2 years to draw all of the state maps currently in the collection. filming. Oh well, everything happens for a reason, right?